Run for a cause. Run for the Environment. Run for the Youth. 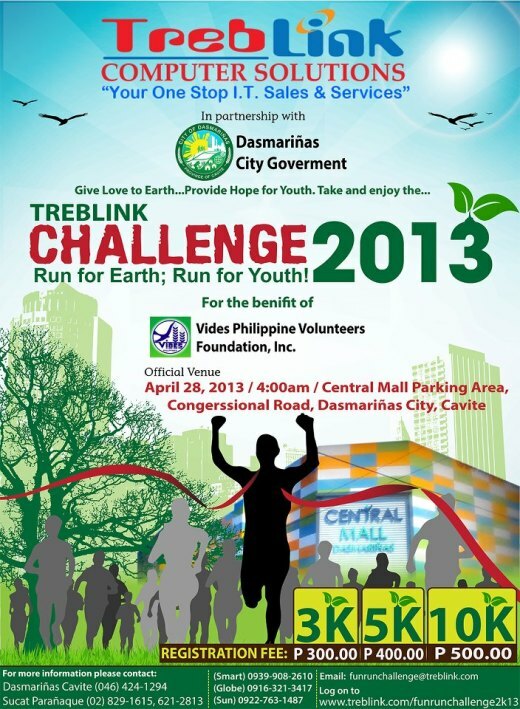 Join the Treblink Challenge 2013! You may get registration forms at the VIDES Philippines Office, 3500 V. Mapa Extension, Sta. Mesa, Manila. Please call (632) 715 6740 for more information. Happy Feast Day, Mother Yvonne!